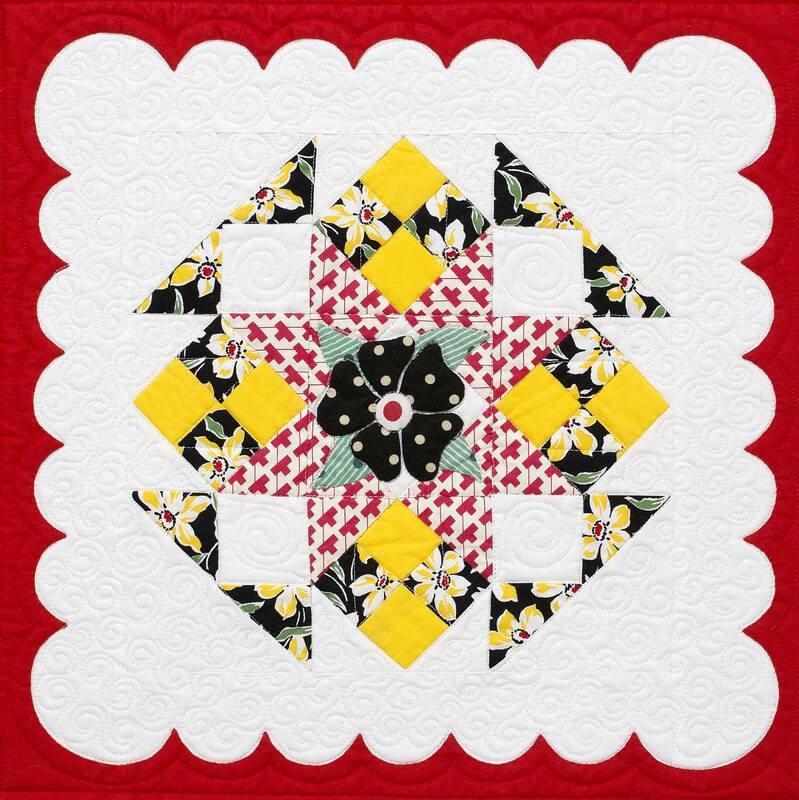 It’s time already for the seventh installment of “Hazel’s Diary,” this year’s Kansas City Star Block-of-the-Month quilt. Hazel’s Aunt Ruby was a prominent player in Hazel’s life, and an oft-mentioned character throughout the entire diary. Aunt Ruby was also one of Hazel’s favorite people, as well as one of my favorite people. She was a very, very special lady. For this month’s block, I began with the traditional block “Aunt Vina’s Favorite”, added in some extra patches, and topped it once again with some applique. As usual, there’s a combination of actual vintage fabrics, reproduction 1950s fabrics, and modern fabrics in this block. To read this month’s story and get the block pattern, pick up today’s Kansas City Star newspaper and check out the House & Home section. You can also read the story online HERE. You can download this month’s PDF file from my Etsy shop. And check back in often. The daily diary entries continue, and there’s some fun stuff coming soon!